Are you preparing and planning for your return next year? 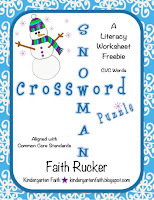 :0) Check out this fun little Snowman Crossword Puzzle activity. 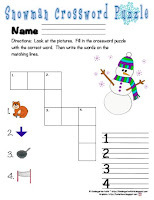 My students did one of these before we left for Christmas break, and they loved it! Enjoy the rest of your time off, and Happy Soon-To-Be New Year!